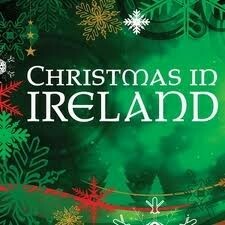 Christmas in Ireland is very different to Australia, what they do and what they eat. They put candles hoping that Mary and Joseph were looking for shelter. Brazil make nativity scenes or Presépio. For dinner they have turkey, ham and fruit and vegetables. The feast of St Nicholas marks the beginning of Christmas in Austria. The saint accompanied by the devil asks children for a list of their good and bad deeds. Good children are given sweets, toys and nuts. Gifts that are placed under the tree are opened after dinner on Christmas Eve. Christmas in Denmark is supposed to be when a mischievous elf called Nisse can have his fun. He is said to live in the lofts of old farmhouses and enjoys playing jokes. He wears gray woolen clothes, a red bonnet, red stockings and white clogs. Families leave him a bowl of rice pudding or porridge on Christmas Eve to keep his jokes within limits. Usually though he is kind and helpful helping out on the farms and being especially good to the children. On the Eve of Christmas everyone goes to church wearing a completely new outfit. The Christmas service ends at midnight with the ringing of church bells, then people go home to eat a special Christmas meal known as fata, which consists of bread, rice, garlic and boiled meat. Mass is held hourly on Christmas Day so that everyone can attend. Religious services include pastore, or play, based on myth of the birth of the Christ Child. The pastore closes with a star from the upper part of the church sliding down a wire and coming to rest over the church's Nativity scene.